Of course, my experience at the project was wonderful and unique, and the most interesting thing about it is that it was with the best trainers and researchers. At the beginning, I was ignorant and neglected our cultural heritage and the project educated me about the importance of oral history documentation in defining the Palestinian identity; the same with protecting historical documents and memos (such as land registration certificates [Tabo] and traditional Palestinian clothes) from getting damaged as a result of aging, moist and erosion. Documents are one of the most importance sources of information as they are necessary to build a database that are very close to being accurate; for documents are seen as the memory of nations and their most important historical sources. 1. The use of tractors instead of their animals to plough their lands. 2. The use of modern means of transport (e.g. cars) instead of animals. Meanwhile, the Zionist occupation took this opportunity to steal various components from the Palestinian cultural heritage and they attributed these components to their own culture. For instance, Falafel is one of the most popular Palestinian street foods, yet they claim it theirs. Also the attempt to steal the Kuffieh, which is a historical Palestinian symbol. 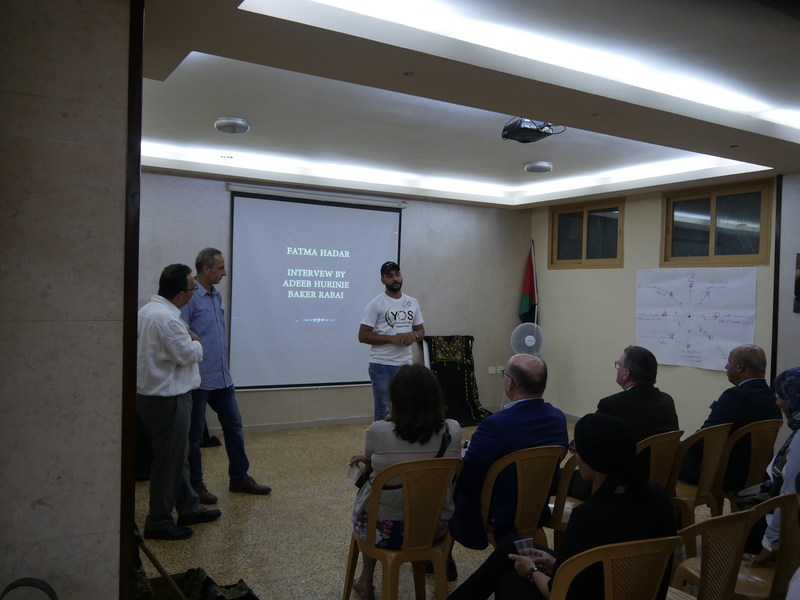 The trainers and cultural heritage experts taught the researchers and me that the Palestinian cultural heritage is a rich source because of the tremendous amount of changes/transformation it has gone through and continues to do so. This has motivated me to participate in this project and work with the team on protecting our cultural heritage. It has been a wonderful educating experience to interview elderly people. For example, I learned that the word ‘jorn’ in Arabic has two meanings. The first refers to the ‘hayloft’ and the second refers to the tool used to grind coffee.